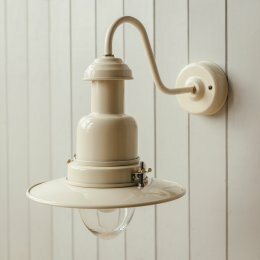 Our wall mounted Fishing Lights are suitable for use outdoors and indoors. 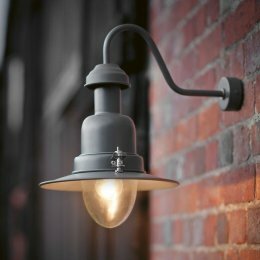 Traditionally styled and very elegant with their swan necks, use a wall mounted Fishing Light to light up your porch, an outbuilding or external walls. They can also be used in kitchens, bathrooms and utility rooms. Our Fishing Lights are CE approved and IP43 rated. They are made of powder coated steel so will withstand outside elements, they are waterproof and made of non-corrosive materials. 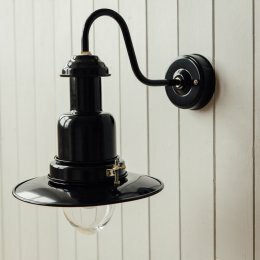 Available in three finishes - black, charcoal grey and cream.